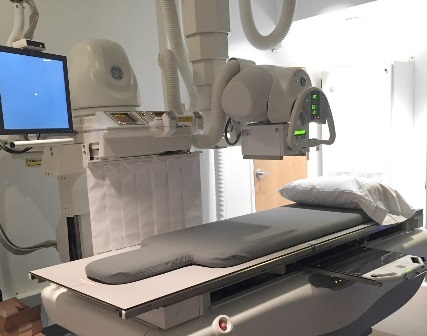 GE 500D X-ray Machine, installed July 2016. GENERAL RADIOLOGY: Walk-in Radiology services for routine x-rays such as bone, chest, and spine. Monday-Friday, 8:00 a.m. - 7:00 p.m.
Saturday and Sunday, 9:00 a.m. - 5:30 p.m.
CT SCAN: All CT Scans require an appointment. Call central scheduling at 209-966-3631, ext. 5000/5001. Monday-Friday, 8:00 a.m. - 5:30 p.m. Breast Center (Mammography): Walk-in patients accepted for screening mammography. Monday through Friday, 8:00 a.m. - 7:00 p.m.
To check in for weekend imaging procedures go to the Emergency Department entrance. 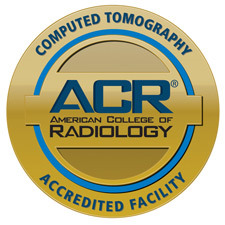 JCFHD is accredited in Computed Tomography (CT) by the American College of Radiology (ACR). CT scanning - sometimes called CAT scanning - is a noninvasive medical test that helps physicians diagnose and tailor treatments for various medical conditions. JCFHD is a FDA Certified Facility. 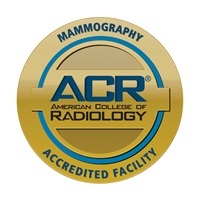 JCFHD is accredited in Mammography by the American College of Radiology (ACR) certification for Mammography. The ACR gold seal of accreditation represents the highest level of image quality and patient safety.